Furthermore,we always focusing on new model designs and quality control,thus we won a worldwide reputation as you can see our factory scale and comprehensive ability in our website. Q:How long is delivery time9 A: For small order it takes about 1-3 working days and for large quantity,3-15 working days. Q:How about your after sale service9 A:If you find some problems when you received the goods, please contact us first and send more information to us, we will try best to deal it. Providing free sample of Hot fix rhinestones and non hot fix rhinestones item. The production schedule is carefully monitored section by section. We can delivery the products on time and with reasonable cost. 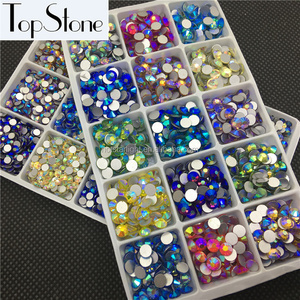 sparkle color red AB,blue AB,yellow AB,green AB ss20 flatback non hotfix foiled crystal rhinestone size:ss20 color: color AB quality:crystal super shine,much more shining than normal plastic or resin stone the height is even and thin side,well cut,well polished. very low defect and scratch,no bubbles inside. backside well foiled,can keep for a long time without fade packing:1440pcs/pack in one nice paper wrapper Moq:1 pack payment:TT,western union,paypal. we will do our endless efforts to create and supply new and sophisticated arts of new fashions. our products are of excellent quality, vogue design, novelty and elegant, priority idea and unique style. 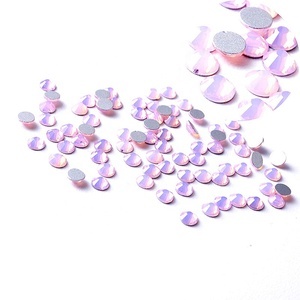 Non hot fix flat back rhinestones, no hotfix crystal flatbacks elements for nail art embellishments. Product Display we are proessional supplier of all kinds rhinestone 1. flatback rhinestone with 8, 10 or 12 faces. 9. Samples: we can supply most of our samples free for checking quality, but not including the express. Ya Wang Garment Accessory co.,ltd. * promise quality * factory wholesale prices * Best service Use :for T-shirt ,garment ,hat ,purse, belts,shoes,nail art etc. Product Image bling flat back crystal rhinestone for gymnastics garment Size and packing list : size Diameter packing ss3 1.3-1.4mm 10gross/bag ss4 1.4-1.5mm 10gross/bag ss5 1.7-1.8mm 10gross/bag ss6 1.9-2.0mm 10gross/bag ss8 2.3-2.5mm 10gross/bag ss10 2.7-2.8mm 10gross/bag ss12 3.0-3.2mm 10gross/bag ss16 3.8-4.0mm 10gross/bag ss20 4.6-4.8mm 10gross/bag ss30 6.3-6.5mm 2gross/bag ss34 7.0-7.3mm 2gross/bag ss40 8.0-8.3mm 1gross/bag Color chart Physical Reference Shipping terms:By DHL,FEDEX,EMS, UPS,TNT,etc &hellip; (Door-to-door service) Payment terms:T/T,Paypal,western union If you have any require, please feel free to contact us, we will do our best for you . t Pink, Black Dia, Orange, Hyazinth, Cosmojet, Citrine, L. t Peach, Olive Green, Emerald, Montana,Hematite, L. 8.we can offer the sample chart and loose stone samples for free. strip carton put bags of rhinestones into strip carton. back to home to see more! our solid key values which are emphasized on the commitment to quality, speed and consistency have made hanjie one of the most exciting companies in the garment accessories field. it's for this reason they are widely used for all kinds of craft making projects to add that extra bit of sparkle and glamour. 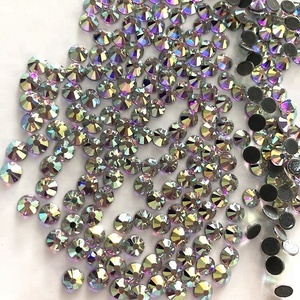 our crystal ab rhinestone products item name wholesale bulk loose rhinestones flatback dmc hot fix rhinestone material glass bead. we have attended turkey istanbul fair, russia moscow fair, china hongkong fair, china shanghai fair, bangladesh dhaka fair and so on. Widely adoption of high viscosity silicone paper, and all materials of rhinestone transfer are in accordance with the industry standards. Wash Instructions applique work designs for dresses All our products can withstand normal wash and wear. Recommended washing instructions are: turn inside out, wash delicate in cold water and tumble dry low or lay flat to dry. flat black glass rhinestone flat black glass rhinestone uses raw glass cut to the shape of diamond look and use as the clothing accessories. Wholesale Mardi Gras Rhinestones and pu Transfers Iron On clothes Topmotif is a professional manufacturer of rhinestone transfers, rhinestone motifs, glitter transfers with well equipped testing facilities and strong technical force. With wide range, good quality, reasonable prices and stylish designs, our products are extensively used in garment line. Wholesale Korean Rhinestones AKA Afro Girl Custom Heat Transfer Brand: Topmotif Material: Hotfix Rhinestone/Korean Rhinestone/Rhinestud/Nailhead/Glitter Design: Stock designs are constantly updated and customized designs are welcome d Usage: Textile,apparel,garments,shoes etc.
) 2, silver back ( ours are flat and smooth, other bad quality is easy to drop off. ) 3, brightness ( ours stones looks very shiny, other bad quality is harper. Diversified sourcing : to save you a lot in time and freight. 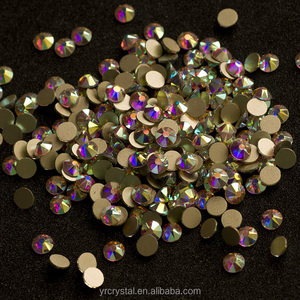 Alibaba.com offers 11,218 crystal flatback rhinestone ss20 products. About 97% of these are rhinestones, 1% are stickers & decals. 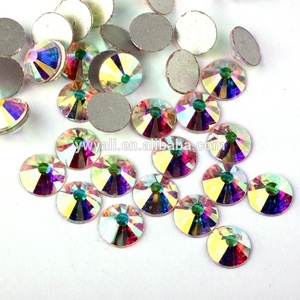 A wide variety of crystal flatback rhinestone ss20 options are available to you, such as free samples, paid samples. 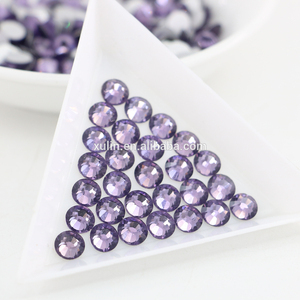 There are 11,218 crystal flatback rhinestone ss20 suppliers, mainly located in Asia. 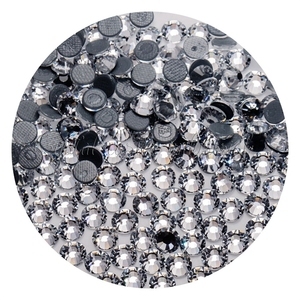 The top supplying country is China (Mainland), which supply 100% of crystal flatback rhinestone ss20 respectively. 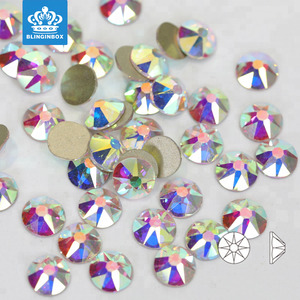 Crystal flatback rhinestone ss20 products are most popular in North America, Western Europe, and South America. You can ensure product safety by selecting from certified suppliers, including 1,260 with Other, 26 with ISO9001 certification.